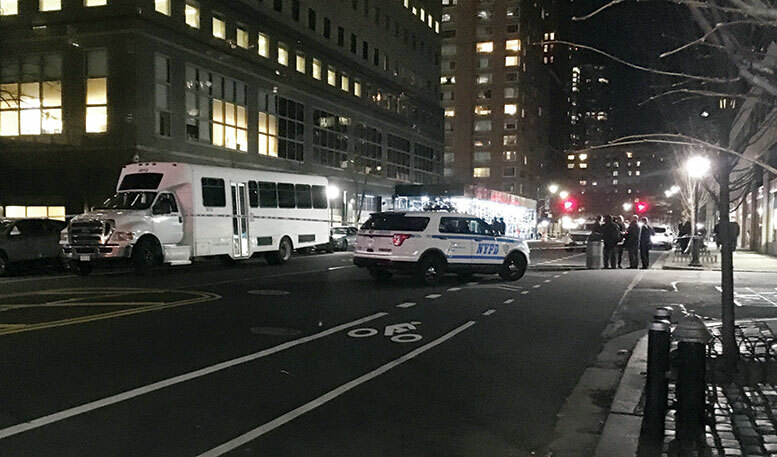 In August of 2016, the Battery Park City Authority presented recommendations for safety improvements to South End Avenue and West Thames Street that were developed by Stantec, a consulting company. * and Narrowing travel lanes to reduce the speed of vehicles using South End Avenue. Nothing has actually been done. Since 2016, pedestrian and cyclist safety has actually gotten worse, as the streets have become increasingly congested with the grown of Uber and Lyft. If these improvements had been implemented, Arlene Kalfus might well be alive today. 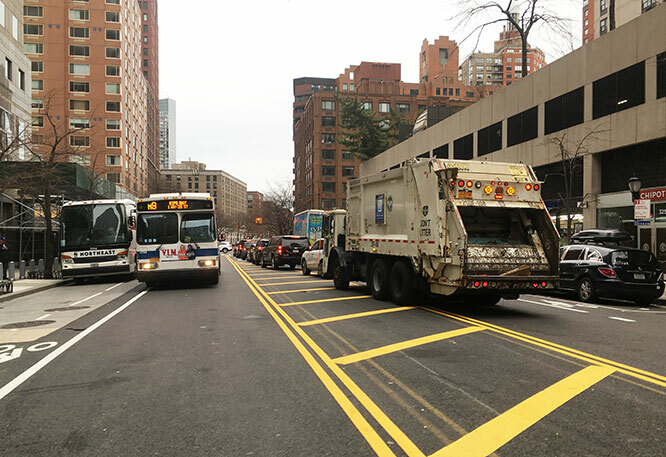 It’s time for us to demand that the BPCA and the New York City Department of Transportation get off the stick, and implement these already existing, well conceived plans to make our neighborhood safer. I got off Downtown Alliance bus and the driver motioned for me to cross South End Avenue implying it was safe to cross. As he had a higher perch I trusted him I started to cross as a taxi whizzed so closely by that my hair flew up. There are never any traffic police in BPC anymore. The Downtown Connection buses are absolutely out of control. They run red lights! Plus they don’t stop for strollers or elderly at sidewalks when the pedestrian walk light is on. Danielle, I disagree from my experience and views of seeing the buses. However, this is my view only from being a resident for 20 years. It is a terrible and sad accident and something the driver of the bus has to live with for the remaining of his/her life. God rest our resident that passed away in an unfortunate accident and prayers for the driver for healing. It was an accident.